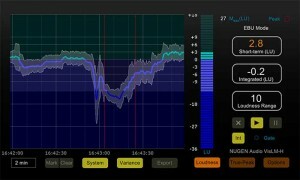 UK - HHB Communications Ltd. has supplied Nugen Audio plug-ins to ITV, National Geographic, FX UK channels, audio post specialists Vaudeville, The Farm Group and many more to assist them in complying with international loudness broadcast standards. HHB’s Soho-based audio post subsidiary Scrub has recently provided ITV plc with a combination of over 20 Nugen plug-in licences, including the Vis-LM Loudness Meter plug-in, the Loudness Toolkit plug-in bundle and the Complete Loudness bundle for their audio post production and Avid Media Composer suites in Media City, UK. 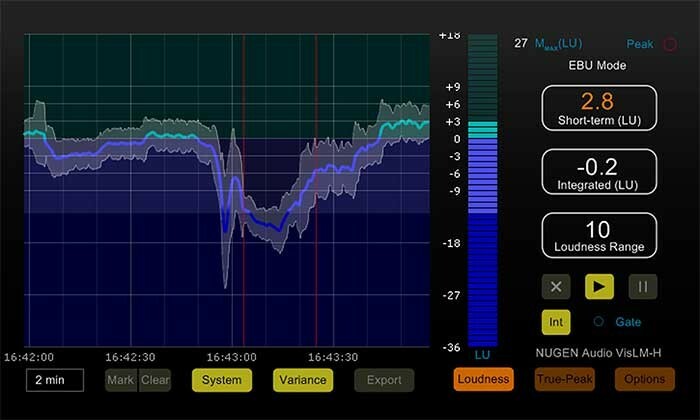 In picture: Nugen Audio’s plug-ins address loudness metering and correction with speed and efficiency.